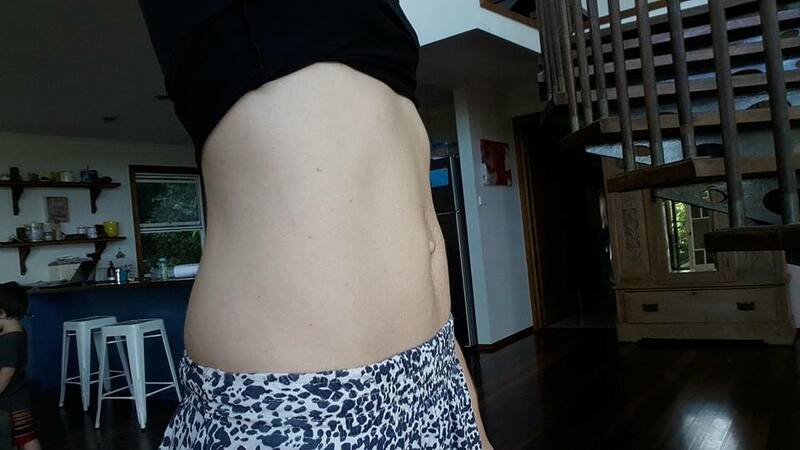 If you haven’t read PART ONE https://wildernesscalling.net/2015/09/19/more-than-just-a-mummy-tummy-diastasis-recti-aka-abdominal-separation-part-one/ I encourage you to read that first so you get my full story! So here we are, I’ve found Fit2b and the missing puzzle piece to healing my tummy! And its… Daily posture and Alignment. And please don’t think “boring, wont make a difference”, please read on, cause you are underestimating how powerful the simple can be. The main reason I joined Fit2b over other Diastasis Recti (DR) specialist programs was honestly the price! $9.99USD per month, when others wanted me to fork out anywhere from $80 and upwards for just a 6 week signup. But I found I got more with Bethany Learn (founder of Fit2b) than I expected, its more than just exercise routines, WAY MORE! She is anointed to do this and it comes out in every video I watch. She brings peace and encouragement into everything she does, strengthening the physical and spiritual. Because you need the spiritual to feel right to get the physical right! Its not about the “destination” the final “result”, its celebrating right through the entire process, the baby step improvements you notice and feel as the weeks or months go by. For many it’ll never be a 6 or 8 wk fix, you may have huge improvement in that time but you may still have some way to go. I’ve learnt a DR is only a symptom! A symptom of a weak core. You may of been able to plank for hours or do hundreds of situps, it does NOT guarantee that your deep tummy muscles are strong, or that you know how to use them properly in your daily activities. Did you know you belly is not supposed to just hang there? Its actually a muscle with a very important job to do, hold you up! As important as your legs. Its not easy to let our legs just hang there or turn them off, we’d fall over. In the modern lifestyles we live today, sitting more than ever before etc it’s so easy to disconnect with our tummy, to just let it hang and exist without using it. The less you use it, the less you know how to use it, and soon we can be totally disconnected from one of our most important muscle groups. What if I told you that its more about what you do outside your exercise time than in it? How are you sitting at the computer? (as you are now?) mmmmm…. are we adjusting ourselves haha. Here’s a big one, do you hold your children with a hip stuck out to the side for them to rest on? does that look like good alignment? How are you sitting in the car? do you hunch over the steering wheel, or slouch back into a very reclined chair? Are you constantly bending over to pick up toys, children and food? bending your body at the middle? essentially pushing our bellies out and our back. Ok ok, I’ve got your attention now! I did all these things too, don’t stress, every one does, its the normal. This doesn’t mean though that it’s “good”. Now you soon realise that trying to have good posture will be very difficult and you will get tired VERY quickly. That’s because your middle doesn’t know what to do, you can’t turn it on very well, and if you can, you can’t keep it turned on for long. So you return to your slouched position, feeling a little defeated and your back and shoulder might even be a bit sore cause they don’t know what to do either! Don’t freak out or feel overwhelmed, you can change this, one little thing at a time, promise! And regain your core connection and strength to the point where its on ALL day without you even needing to prompt it! I’m going to give you one move that all tummy safe exercises are based on and what your daily posture should sort of centre around. This will help you reconnect with your middle and wake it up a bit! Start by sitting in a chair (yes accept that you need to be a beginner lol) shuffle your bottom right to the back. sit nice and tall, but relaxed. Now place your hands on your tummy. One above belly button and one below (this helps with the connection). Now take a nice big belly breath, tummy expanding a little. Now breathe out and as you do draw your navel to your spine as much as possible, imagining a corset wrapping around your tummy. Cause that is essentially what your tummy muscles are supposed to do, hold everything in! Now hold that position BUT keep breathing in and out, hold it for up to 30 seconds IF you can, if not just try your best. You may find you lose the feeling of the “hold” if you are quite weak down there, buts that’s ok, very quickly you can get better! Just doing this one simple exercise every time you think about it through the day will help you wake up your core and use it through the day, improving your posture. This is called “engaging” and you can engage your tummy when doing anything that requires effort, picking up a child, a washing basket, when you walk, run etc And do this when you squat down to pick something up instead of bending down. Just a few simple things can make a difference. So now you may be expecting me to say, I’ve closed my separation/DR and its history! Well actually no! Yeah I’m STILL working on it, cause that’s reality. You know who is most inspiring for me, not the ones that get an overnight fix, or a 6wk fix. The ones who inspire me were in it for the long haul, they had ups and downs, they did ALL the right things and only saw baby step improvements.Over time, some a long time, they fully healed, they checked their belly one day and there was no longer a hole there! The journey was more important, learning to improve their posture, strengthening themselves from the inside out! But I’ll give you my numbers…… I’m closed above and below belly button, all I have left if a 2 finger width gap at my belly button. I feel like I’ve got a stronger core now than I ever had, even with the sml DR. I have wonderful posture, my shoulders rarely get tense anymore and my back rarely aches after I do all the sweeping and mopping. This all came from prioritizing my health and giving back into a body that has given out so much since 3 kids. You are worth it too! 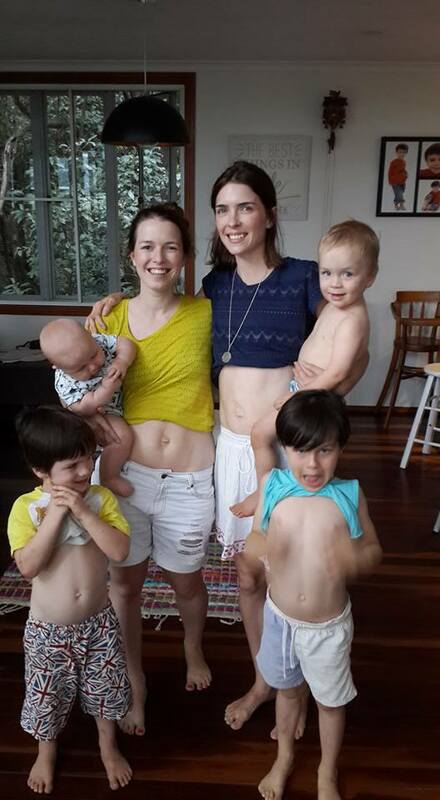 Be strong so you can be strong for the ones you love xxxx The picture here is myself and my sister who is 4.5mths postpartum, she too had a diastasis recti of about 3 finger widths from top to bottom, she is now closed at top and bottom and only a 2 FW at navel, because I shared my experience with her she was able to be on to it right away and has healed really well. Now her tummy will be strong for all her future pregnancies, because she has learnt to take care of it. I loved checking her belly, and was so happy to feel the healing of her muscles under my own hands. I was like “Wow, it works!” haha but of course it does! Very good Jess – am sure it willhelp lots of mums. Enjoying your blog. Very goog Jess. All makes sense to me. We do a lot of this stuff with Ruth at Pilates as well. Thank you for sharing your story, it has encouraged me. I had my third child two months ago. 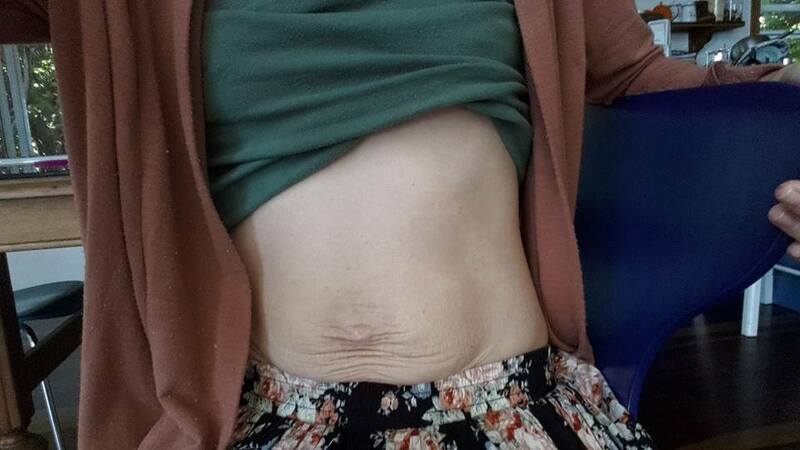 I did Tummy Team rehab after my second child and while I learned a lot I did not do the exercises regularly nor did I heal my gap. I have been much stronger after having my third child than my first two due to my DR knowledge and knowing how to do a belly breath among other things. I recently joined fit2b and am slowly beginning exercises there. I often feel I can’t possibly keep proper alignment and posture throughout the day and can get discouraged but your story reminded me how important those aspects are. I am encouraged again to press on and do what I can to keep proper alignment and engage as much as possible and that it will make a difference! I have a four finger separation currently and I dream of getting to be strong and enjoy running again someday. Thank you for sharing your story!